The weather is getting warmer, the dust levels are high, the clocks sprang forward in America, it's basically spring!! The biggest event this week was my birthday, which was on Wednesday. I treated myself to a real coffee in the morning, and was treated with a surprise! Look at the book in the shop! ooooh! My students were adorable and some remembered my birthday (with help from Young Ah, I suspect). It was great and made the day go well. After a relatively easy and happy day, I met up with Cesca, Lauren and Grace in Hyehwa, a trendy college area in Seoul, for some great food and fun! We went to a place that had fancy drinks. Mix & Malt has delicious food and drinks. Next, we went to a raccoon cafe, which is exactly like a dog or cat cafe, except the animals are grabbier and commonly thought of as pests. Not in Korea, I guess. The cafe was pretty crowded for a Wednesday, and the raccoons were very active and just ran around a lot and tried to grab your drink when you weren't looking. They would also jump on you if you were standing too still sometimes? On Thursday, it was annoyingly another workday, so we had to go back to reality after a really fun birthday night (rude). Tuesday so I had lots of downtime. Friday was Young Ah's birthday, so I bought her a yankee candle (she likes candles and has trouble sleeping, so I bought a lavender vanilla one) and I tried to write a nice card. as family. Let's do everything beautifully together! They wrapped it so nice!!! After school Friday, Cesca was feeling nervous about her exam, so I went over to cheer her up, but mostly I wanted fried chicken from the place near her house. We stopped and got macaroons on the way home, since we hadn't eaten cake together on our birthday. because I'm precious, so I'm not crying or anything. After hanging out with Cesca Saturday, I left because she had to study. I got home and ended up watching a documentary about the Sewol ferry, the anniversary of which is coming up. Sad. But very interesting and frustrating. Then I continued watching the drama I'm currently marathoning, Signal. 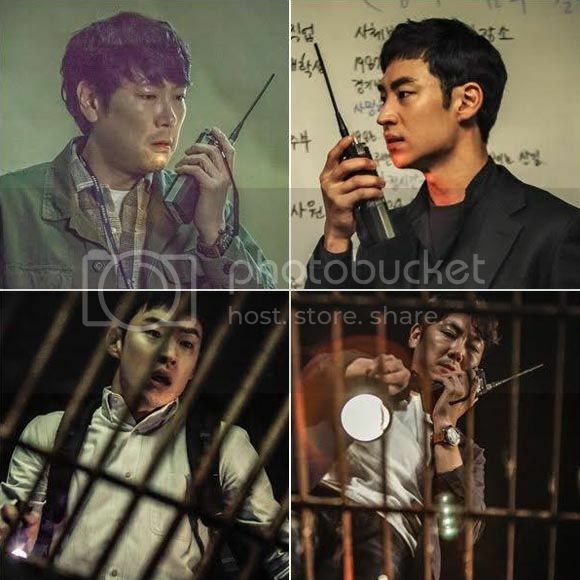 It's about a detective who finds a walkie talkie that lets him talk to a detective in the past, and with each other's help, they solve cold cases that couldn't be solved and also prevent the cases from becoming unsolvable. It's so compelling and good. Crime thriller dramas sometimes falter, but this one had me hooked right away and kept up the awesome, even if it did have me crying my eyes out every so often. Damn emotional stuff. On Sunday, I met up with Cesca after her test. We shopped around a bit and headed to dance class to learn the adorable Girl's Day song Darling, which was one of my spring/summer favorites 2 years ago. It's so catchy and adorable! The weather is warming up, so at least I can finally stop wearing 3 layers of clothes all the time! Here's to hoping the first real week of spring brings good things! 25 started off well, I hope it continues that way!